Owning a dog comes with many responsibilities. Owners have to feed them, take them on walks and give them plenty of love. After all, dogs are part of the family. However, it’s important to note that the owner is liable for their dog’s actions. So, if the owner’s dog attacks or bites someone, the owner will be held responsible. A dog that bites can be classified as either ‘potentially dangerous’ or ‘dangerous.’ Here’s the difference between the two as defined by the Metro Animal Services of Louisville, Kentucky. 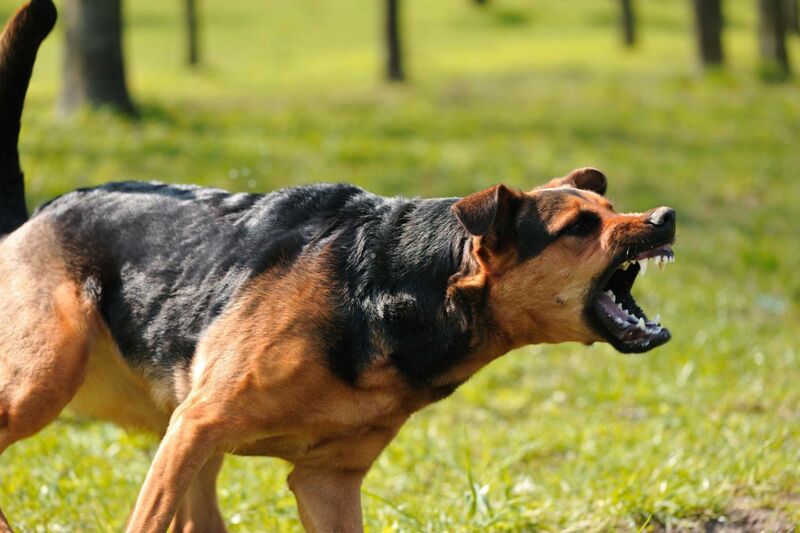 A potentially dangerous dog is one that bites, scratches or bruises any person, pet or livestock in an unprovoked manner. A dangerous dog is one that commits an unprovoked severe attack on any person, pet or livestock or inflicts death or serious injury in an aggressive manner. It also includes any unrestrained dog that maims or kills a domestic pet or livestock and includes dogs used in the commission of a crime. Potentially dangerous dogs and dangerous dogs are to be kept in an uncovered fence and structure that is at least six feet high. The enclosure also has to be installed in concrete or beneath ground level to prevent the dog from digging under it. It needs to have enough space for the dog to be able to move around normally and be comfortable. The owner will also have to watch their dog to ensure that the dog does not get out of the enclosure unguarded. The dog will have to be put on leash, which should not be longer than four feet. Both potentially dangerous and dangerous dogs will have to be muzzled each time the dog is taken out of the premises of the owner. However, the muzzle should not interfere with the dog’s vision or breathing. Your pet should be able to breathe normally but has to be kept secured to prevent it from biting or causing harm to anyone, human or other animal. Rules may vary for a dog that is labeled as vicious by the court. The dog can still be returned to the owner, but the dog will need to be confined in a locked enclosure with a height of at least seven feet. Also, the owner can still take the dog out of the enclosure, but only when it’s time to visit the veterinarian. Also, try and keep children away from dogs who seem aggressive. Children, especially young children, are more likely to take more damage if a dog bites or attacks. This is because of their size. Medium to large dogs can overpower children more easily. This means the dog can drag your child around and cause severe damage. To prevent this from happening, please always ask a dog's owner before you allow your child to pet or play with a dog. Also, if the dog seems aggressive or scared, don't approach the dog. It's best to avoid dogs you aren't familiar with. As a Kentucky Dog Bite Accident Attorney, I want to remind everyone to always be respectful and careful around animals. This also goes for animals that we are familiar with. While some animals gives us warnings and signs that they are aggressive and could attack, some don’t. If we approach this kind of animal, then we may get bit. In the event of a dog or other animal bite, make sure to get your injury examined by a doctor. You should then contact animal control as soon as you can, so they can try and catch the dog and test the dog for rabies. You and your family’s safety is the number one priority. Please be safe around animals, and don’t pet them if they seem aggressive or scared. I can't tell you how many times I've been out walking and a strange dog has approached me without an owner in sight. I like that you suggest keeping kids away from dogs that seem aggressive because they are small and vulnerable. I am always sure to do this when we are out and about, but thanks for the tips!